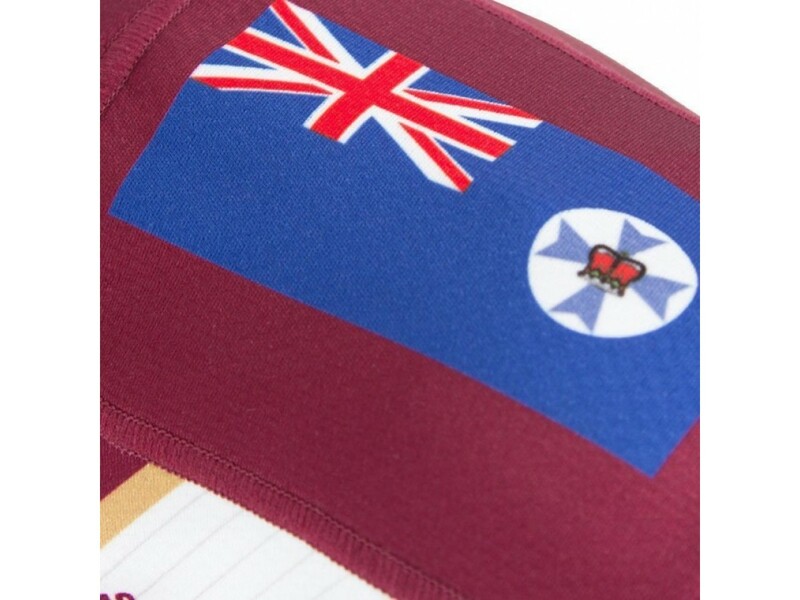 Celebrate the genius and glory of Queensland Maroons legend Johnathan Thurston with this limited edition State of Origin retirement range. 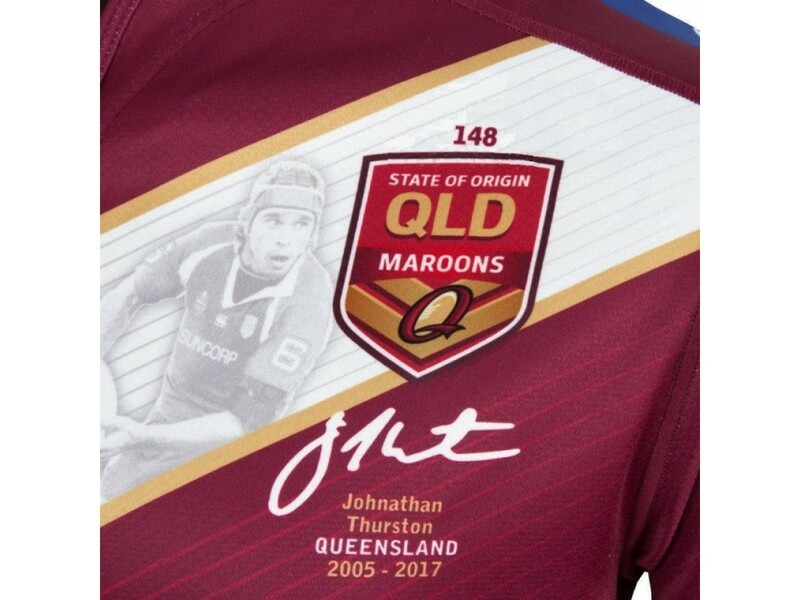 The second-most capped Maroons player of all time, at the time of his retirement from representative football in 2017 the man affectionately known as “JT” held a number of Queensland Maroons records including the most ever consecutive games (36), most points in a match (18), most goals in a match (9) and, most importantly, the most ever points scored in State of Origin – from either team. 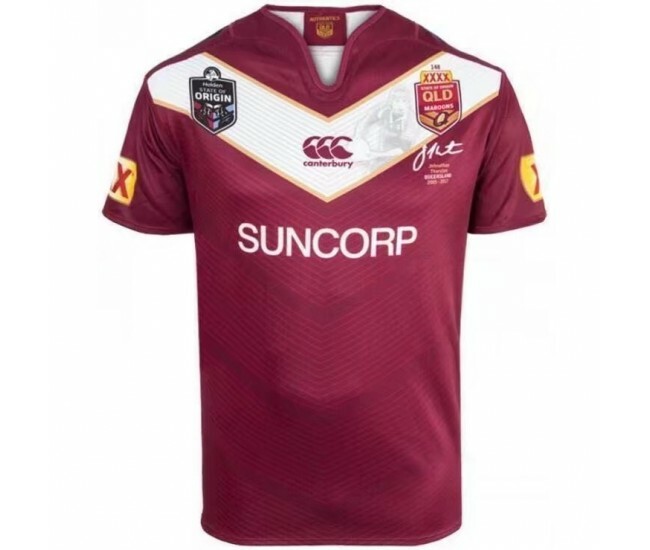 While injury robbed him of a home farewell in the 2017 series decider, Thurston’s final act on the field for the Maroons – a sideline conversion to win the match in front of a hostile NSW Blues crowd, all while nursing a busted shoulder – was a typically courageous play that merely reaffirmed his status as a future immortal of Rugby League. 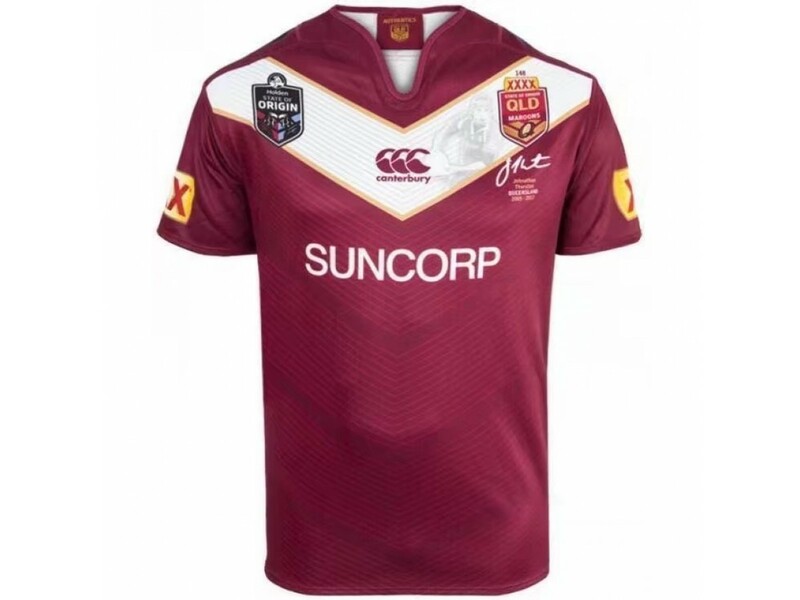 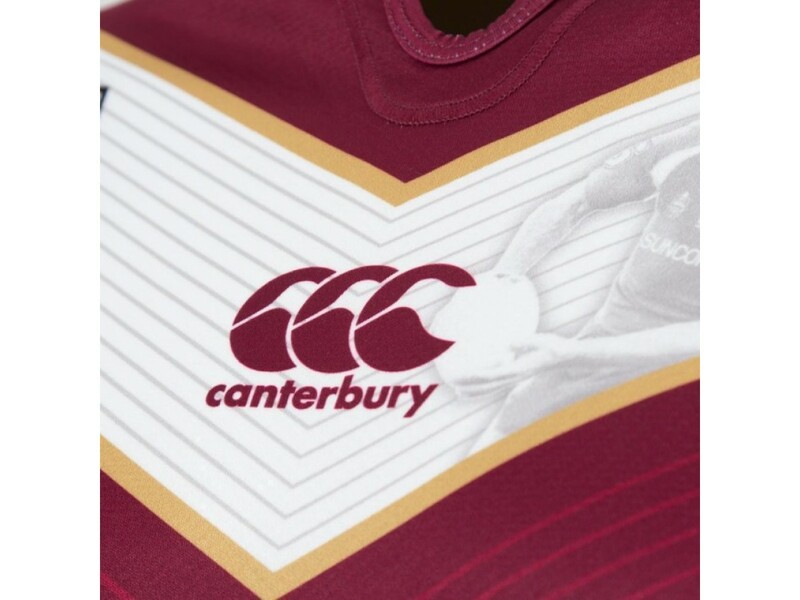 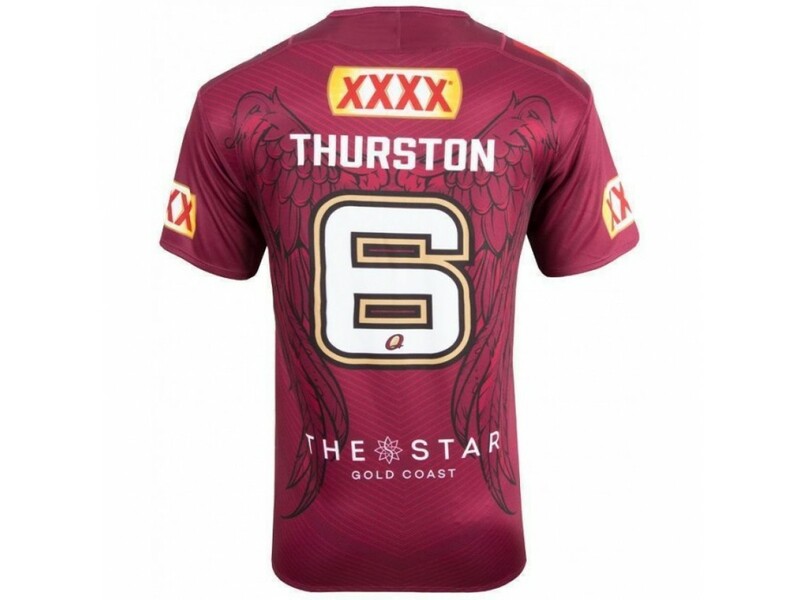 Celebrate the man, the legend and the legacy with this limited edition Johnathan Thurston retirement Jersey! 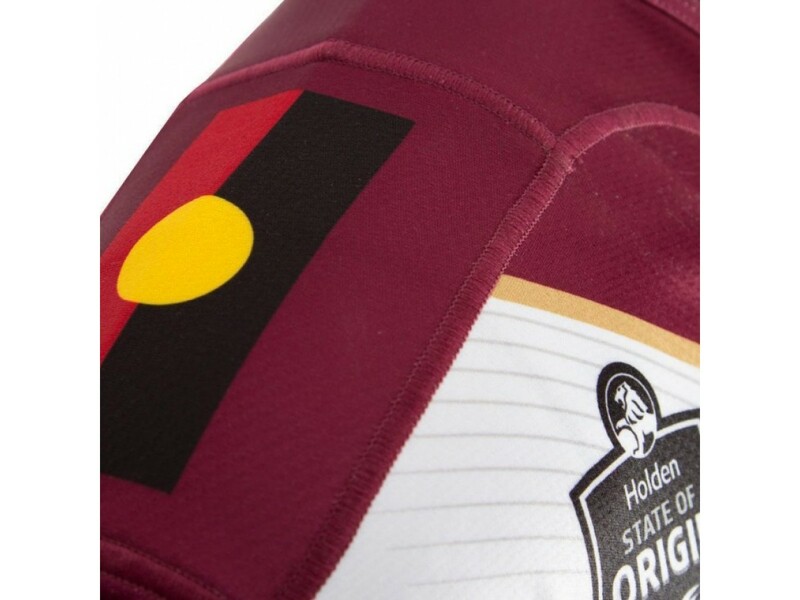 Embroidered signature, name, state and Origin years.